The book’s Figures 70 and 71 show our d.i.y. 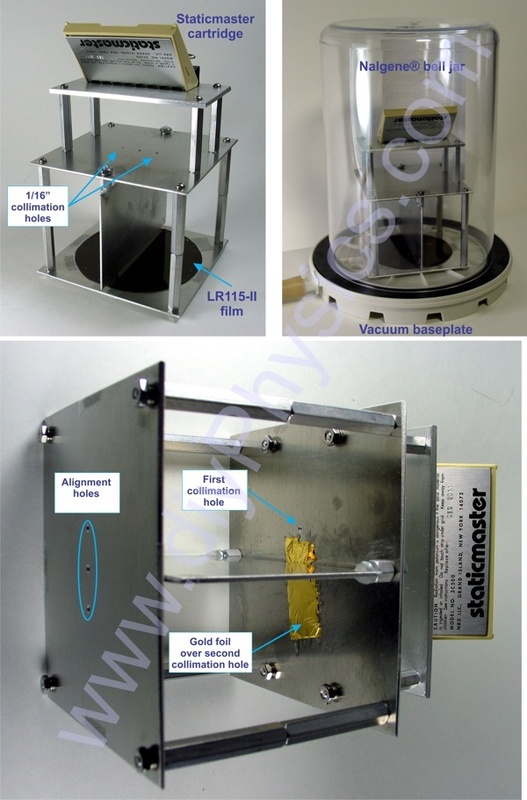 version of a popular apparatus to measure alpha particle scattering. The figure above shows additional views to help you build your own. 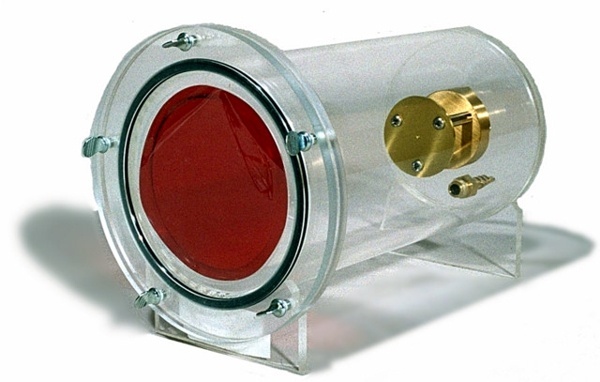 The apparatus allows you to demonstrate alpha particle scattering discovered by Ernest Rutherford in 1908. Fundamental to the discovery of the atom’s structure, the experiment demonstrates that the charge of the atomic nucleus is concentrated at the center of the atom. A commercial version of the apparatus is sold by The Science Source. This commercial version was designed by Professor C.W. Leming and D.H. Garrison at Henderson State University. In the book’s Figure 73 we show another d.i.y. version of the apparatus, this time using CR-39 plastic chips instead of the more expensive Kodak-Pathe LR115-II alpha-particle sensitive film. We are posting the pictures above to help you construct your own.